Bit careworn but otherwise delivers what it promises for its rating and prices. Some of the staff a bit demotivated for want of a better word but its not a place you'll spend much time in.. far too much to do and see in the surrounding area.. on the entertainment front, there was an adjacent pub jiving with Irish music and dancing which I thought was linked to the hotel, but maybe not... very good and popular Chinese nearby... the Noble House.. worth a try. We came to Dublin for my husbands 40th..great location, just round the corner from restaurants , pubs and bars...hotel very friendly and clean...breakfast ample, fruits, cereal and full irish every morning. No entertainment in hotel, but to be honest its good as you are in the heart of entertainment anyway....would revisit again. 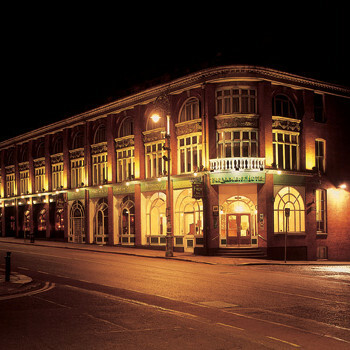 The Hotel was picked for our group, we stayed 3 nights whilst on official business with Dublin City Council. The location of the hotel is first class, apart from that it goes down hill. On ordering a McCaffies I was presented with a coffee. On our first night in Dublin, I rang for room service at 10.30 and ordered a large pot of tea, "for how many" came the reply "for 3" was my responce, 10 mins later a porter arrived at the door with a side plate and on it 6 tea bags. Being 6 foot 4 inches tall I found the beds very short indeed. The bathroom was very tiny one had to shut the doot to access the bath. the bathroom floor is hard marble type tiles and is very slippy when wet. there was no anti slit mats. The television is fixed to the wall and the t.v. in the next room one can listern to with ease, but at 02.30 it is not funny. The hotel is situated on an island, in that the entrance is one the junction of two main streets with an ally way running behind it, cars/motor bikes and drunks use the ally as a quick short cut so there is noise all night, well untill 03.00. None of the rooms are air conditioned, so on warm balmy nights an open window is a must, but sleep is hard. We the party of 5 handed in our bags on the final morning and requested a taxi for 13.30 to take us to the airport, at 13.40, with taxi waiting no-one could find the porter to collect our bags from the cupboard that they had been put in. The bar manger finally took charge, but did not know where the key was. At 14.10 we finally had our bags. In our collective role we have stayed at many hotels throughout Europe and as such we are all in agreement that this was the worst hotel we have been to. We have collectivley written to the management of the group pointing out our mis-givings and the shortfalls we experienced in a 3 star rated Hotel. Everything about this place is excellent, the food is fantastic, if anything they give you too much! The staff are very friendly and helpful, and the cleaners are working non stop all day. The location is excellent, Temple Bar is just around the corner, and the Town Centre just a short walk over the beautiful River Liffey. Obviously ive rated the entertainment as 1 because there is none, all that is in Temple Bar. I have visited Dublin twice now, both times staying in the Parliament Hotel and I will continue to do so on my forthcoming trips. Chose this hotel whilst booking the flight with Ryanair and got excellent deal. Location was superb, rooms more than adequate..(including hairdryer and trouser press..also tea making facilities plus tv). Breakfast was vast! Normally would have to pay 14 euros for it. Orange juice, grapefruit juice or tomato juice..followed by prunes, grapefruit segments or fresh fruit salad...followed by weetabix, porridge, cornflakes or ricepops...followed by full Irish breakfast...which was bacon, 2 sausages, tomato, fried egg, mushrooms, white pudding and black pudding. Also toast, preserves and soda bread....plus pot of tea of coffee. Obviously only 1 for entertainment...because there is none...you fall into Temple Bar for that! Certainly visit again.